Rising star from the young composer’s generation, Camille Pépin chose to record her first album with the artists who have been accompanying her since her debut. She is taken by numerous extra-musical influences: from English literature to Japanese etchings, mythology to astronomy. These disparate elements all converge on travel as their common theme, wanderlust and dreams of elsewhere. A fusion of all these ingredients, Camille Pépin's music sets itself apart above all through its rhythmic aspect, at once dancing and almost incantatory, presided over by lyricism. 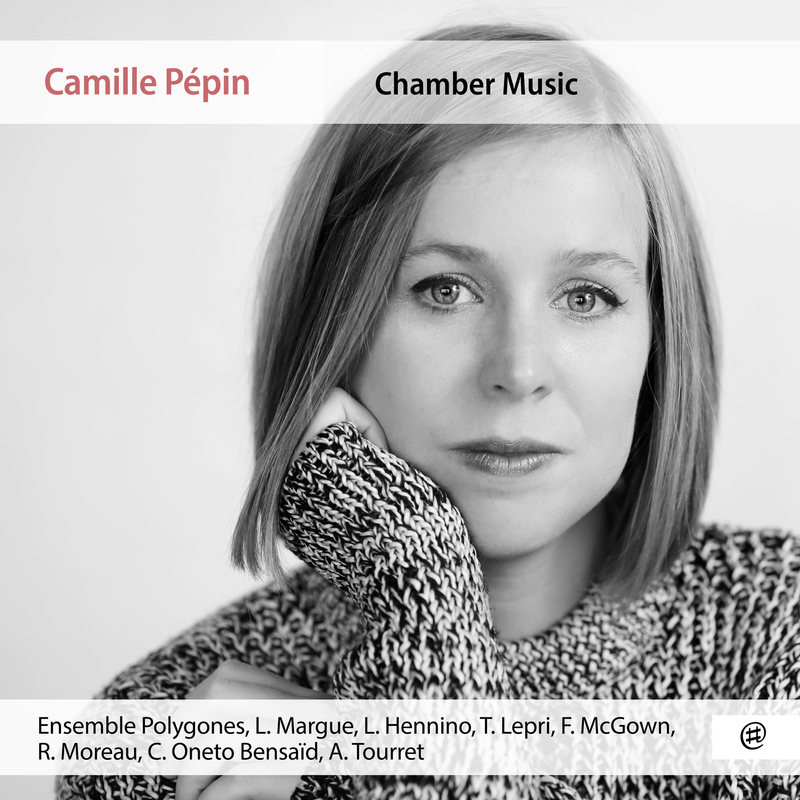 Born in 1990, Camille Pepin began her musical studies at the Regional Conservatory in Amiens. Elle entered the Pôle Supérieur of Paris where she studied orchestration with Thibault Perrine, then the National Conservatory for Music and Dance in Paris where she was awarded first prizes in Harmony, Counterpoint, Fugue and Form, Analysis, as well as the Monique Rollin Prize in Musicology under the auspices of the Fondation de France, and the Marcel Dautremer Prize. She studied notably with composers Thierry Escaich, Guillaume Connesson, Marc-André Dalbavie and Fabien Waksman - all of whom were paramount in her musical journey. Her orchestral piece Vajrayana received the Jury Prize and the Audience Prize at the composition competition. It was premiered at the Paris Philharmonie by the Orchestre National d'Ile de France (conducted by Nicholas Collon) in partnership with Radio France. The same year, Camille received the Grand Prize in Symphonic Music from the SACEM in the "young composer" category. In 2016, she collaborated with Issam Krimi and the Orchestre Philharmonique de Radio France on the project Hip-Hop Philharmonique for which she orchestrated songs by Mc Solaar, BigFlo&Oli, IAM, Youssoupha and Ärsenik. The Jeunes Talents Festival has commissioned a quintet piece Hommage à Dutilleux for summer 2016, and will also program her work Luna, written specially for the Ensemble Polygones. She also collaborated with the Orchestre National d'Ile de France and Enrique Mazzola on the adaptation of Le Petit Barbier (from The barber of Seville by Rossini) for children's choir, which will be performed at the Paris Philharmonie in June 2017. In 2017, Camille will also be guest at the Présences Féminines Festival in Toulon where several of her pieces will be performed, in particular the premiere Chamber Music on poems by James Joyce with the Ensemble Polygones. Her orchestrations and compositions have been played at the Paris Philharmonie, the Théâtre du Châtelet, Salle Gaveau, and Folies Bergère in Paris, as well as at the Chamber Music Festival in Giverny, the Jeunes Talents Festival in Paris, by numerous performers and ensembles (Orchestre National d'Ile de France, Orchestre Philharmonique of Radio France, Orchestre de Picardie, Orchestre de la Cité Universitaire de Paris, Orchestre Ut Cinquième, Ensemble Polygones, Macha Belooussova, James Campbell, Sabine Meyer, Alliage Quintet, Ensemble Carpe Diem...).